When you consider all the twists and turns you’ve been through in 2017, you might opt for popping the champagne corks to acknowledge that you made it through and celebrate what you have accomplished. Below, Murray Altham gives you a platform to lift off into 2018! So there you are, innocently walking into the supermarket, minding your own business, relaxed, needing to pick up some Tim Tams to enjoy while nervously waiting to see which bachelor Sophie sends packing at the rose ceremony and there it is, the noise that brings joy and anxiety at the same time… Michael Buble singing ‘Joy to the World’ over the sound system! 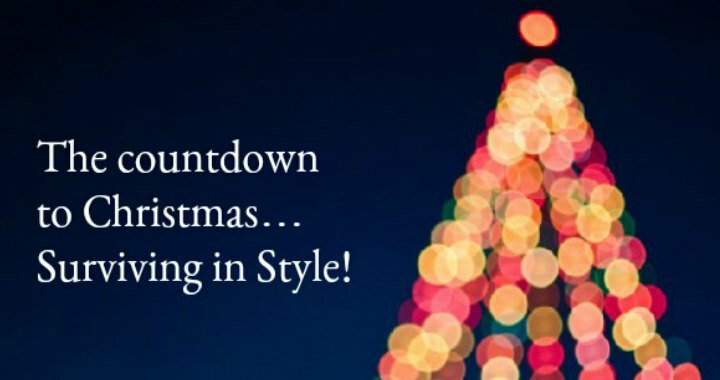 OMG, Christmas carols… the countdown has begun! Hurtling towards Christmas and the week after, 2018, raises all sorts of emotions. Excitement, anxiety, pressure, relief, joy, frustration and “where the heck did the year go” all stuffed into your own gorgeous psychological Christmas cracker ready to go off on December 25th, right between crazy Uncle Alf and the prawns fresh off the Weber! We contemplate where we are, what’s to be done and did we keep all the extravagant promises we made on New Year's Eve? When you consider all the twists and turns you’ve been through in 2017, you might opt for popping the champagne corks to acknowledge that you made it through and celebrate what you have accomplished. A wonderful principle to wrap these five F’s in is… ‘Pay attention to your life’. It’s easy to feel overwhelmed, distracted, for our priorities to get derailed as we look after our families, ourselves, work, business, competing priorities, late nights, early mornings, social media, surprises out of left field and the increasing pace of life. Push the pause button for an hour, put your phone on silent and pay attention to your life. Take a deep breath and think about what you want out of these five F’s over the next three months and explore setting one or two priorities for each. Maybe you’ll plan to have a debt free Christmas, plan a digital free weekend away to relax, read an inspiring book, create closure in a lingering argument, try not to please everyone and consider more of your own needs or articulate and appreciate more of your strengths. Sometimes, it’s important to put yourself first, you are very precious to the people in your life. Give it some thought, consider where you’re at, explore your wondrous possibilities and make the next three months magical for you. If you would like to know more about Murray Altham's keynote speaking or corporate training click here to submit your enquiry or contact us directly on 1300 55 64 69.